On of the biggest concerns people have when filing for bankruptcy is whether or not they will lose assets. If an asset is not exempt, then it is available to pay your unsecured creditors. Being available to your unsecured creditors is a polite way of saying that the Trustee can seize and sell the asset and pay the money to the creditors. Education Savings Accounts (ESA) are a great way to save for the long term educational needs of your children, but can you keep the money in this account if you file for bankruptcy? The answer is yes. Funds that are in ESA such as an education IRA are excluded from the bankruptcy estate so long as the debtor files a notice into the record of the bankruptcy case of his interest in the account. 1) If the child (which includes stepchildren and grandchildren) was not a child of the debtor during the tax year that the funds were deposited into the ESA. 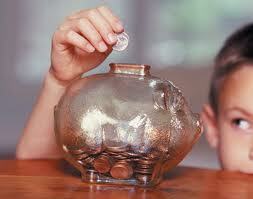 This could occur where a child was adopted after the funds were deposited into the Education Savings Account. 2) If the funds are excess contributions to an education IRA. The maximum amount that can be contributed to and ESA is $2,000.00 per year per child. Also, it is not possible to deposit more than $2,000.00 per child regardless of the number of accounts set up for the child. Also, funds can only be deposited for the benefit of the child up to the child’s eighteenth birthday. 3 If the funds were deposited into the ESA within 365 days of filing bankruptcy. 4) If the funds were deposited into the ESA between 365 and 720 days, the exclusion is capped at $5,000.00 per beneficiary. The notice requirement for an ESA is a trap for the unwary. The experienced consumer bankruptcy attorney can help you to avoid this and other mistakes that can cost you the unnecessary loss of your property.